Acute kidney injury (AKI) commonly occurs after cardiac arrest. Those subsequently treated with vancomycin are at additional risk for drug-induced kidney injury. We aimed to determine whether opportunities exist for improved drug monitoring after cardiac arrest. 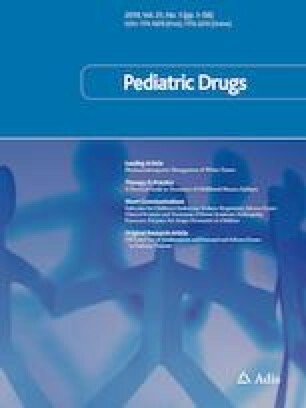 This was a retrospective cohort study of children aged 30 days–17 years treated after cardiac arrest in an intensive care unit from January 2010 to September 2014 who received vancomycin within 24 h of arrest. Vancomycin dosing and monitoring were compared between those with and without AKI, with AKI defined as pRIFLE (pediatric risk, injury, failure, loss, end-stage renal disease) stage 2–3 AKI at day 5 using Schwartz formula-calculated estimated glomerular filtration rate (eGFR). Of 43 children, 16 (37%) had AKI at day 5. Age, arrest duration, median time to first vancomycin dose, and the number of doses before and time to first vancomycin concentration measurement were similar between groups. Children with AKI had higher initial vancomycin concentrations than those without AKI (median 16 vs. 7 mg/L; p = 0.003). A concentration was not measured before the second dose in 44% of children with AKI. Initial eGFR predicted day 5 AKI. In children with AKI, the initial eGFR was lower in those with than those without a concentration measurement before the second dose (29 mL/min/1.73 m2 [interquartile range (IQR) 23–47] vs. 52 [IQR 50–57]; p = 0.03) but well below normal in both. In children with AKI after cardiac arrest, decreased vancomycin clearance was evident early, and early monitoring was not performed universally in those with low initial eGFR. Earlier vancomycin therapeutic drug monitoring is indicated in this high-risk population. This study was supported by the Division of Critical Care Medicine Russell Raphaely Endowed Chair of Critical Care Medicine at the Children’s Hospital of Philadelphia. Dr. Zane is supported by National Institutes of Health (NIH) Grant 2T32GM008562; Dr. Downes is supported by NIH Grant K23 HD091365, and he has received research support from Merck and Co. and Pfizer, Inc. unrelated to the current work; Dr. Topjian was previously supported by the NIH and Sage Therapeutics and currently receives support from Laerdal Medical; Dr. Furth is supported by NIH Grants U19 AR069525, U01 DK066174, P50 DK114786, and U01 HL125295; Dr. Scheetz was supported by NIH, National Institute of Allergy and Infectious Diseases Grant R15 AI105742, performs consulting for Achaogen, Paratek, and SIGA, and is a Grant Investigator for the CARE Foundation and Merck and Co.; and Dr. Zuppa is supported by the following NIH Grants: National Institute of Child Health and Human Development Grants UG1HD063108 and 1R21HD093369, National Institute of General Medical Sciences Grant R01GM094203, National Heart Lung and Blood Institute UG3HL141736; as well as Department of Defense Grant W81XWH-17-1-0668, and Zelda Therapeutics. JCF, ASH, MDR, and NJT have no conflicts of interest that are directly relevant to the content of this article.